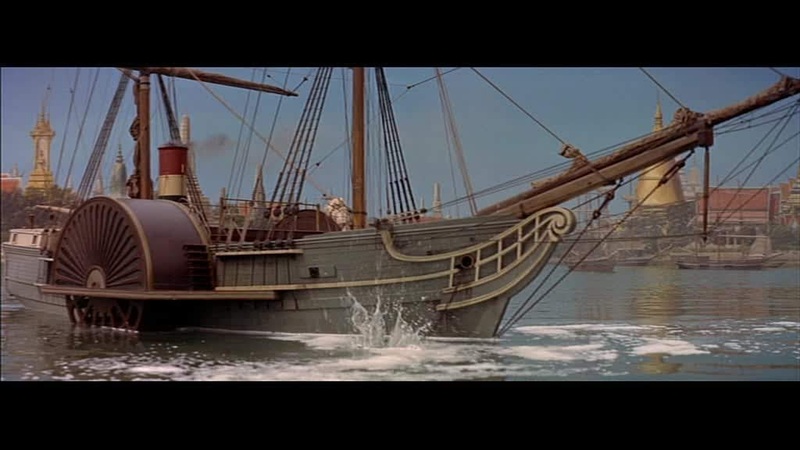 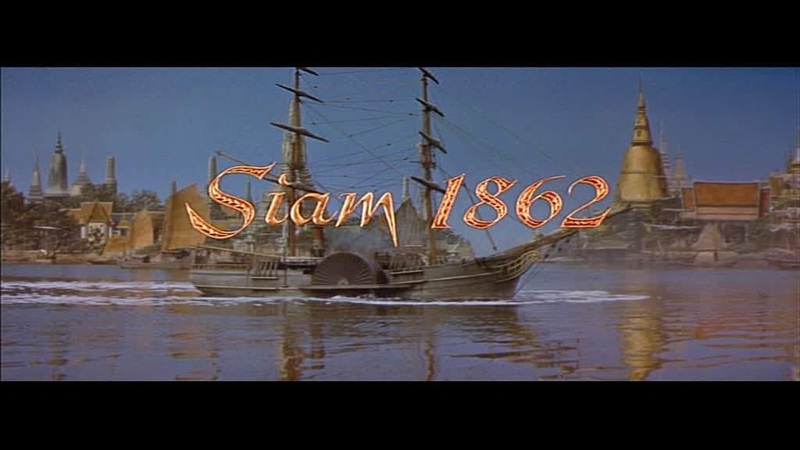 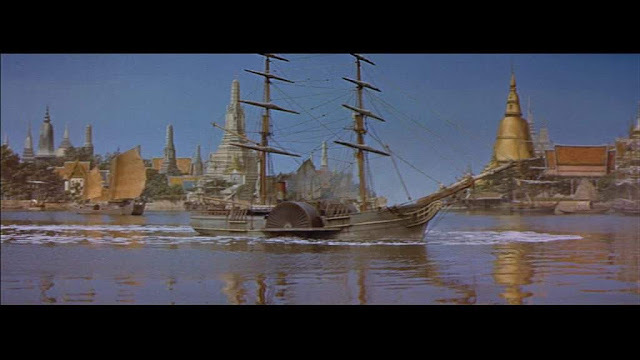 As with this story's earlier incarnation in "Anna and the King of Siam" ( 1946) there is a paddle steamer miniature in the opening shots, along with a painted Bangkok, this time in full colour and featured in two shots of its own uncovered by credits or cast. 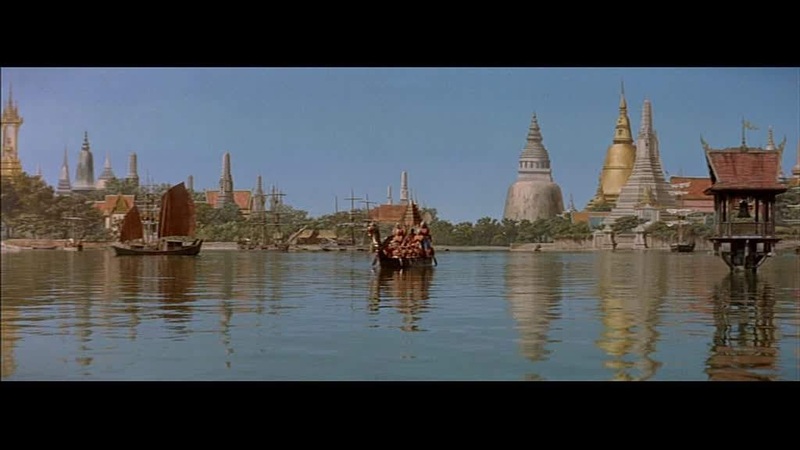 It could well be the same miniature that appears in another 4 features, as previously discussed in "Anna and the King of Siam". 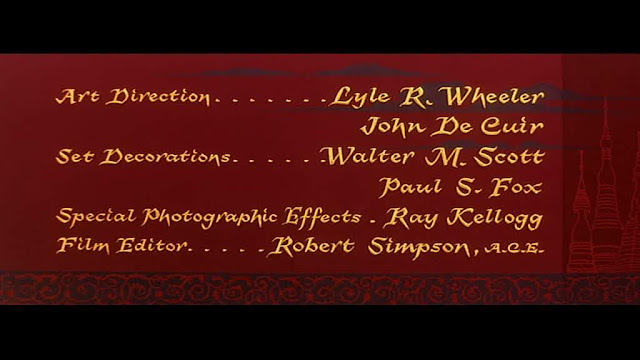 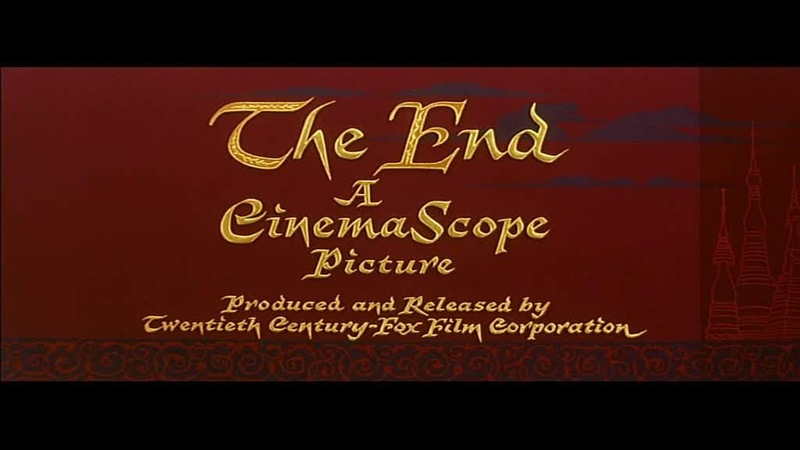 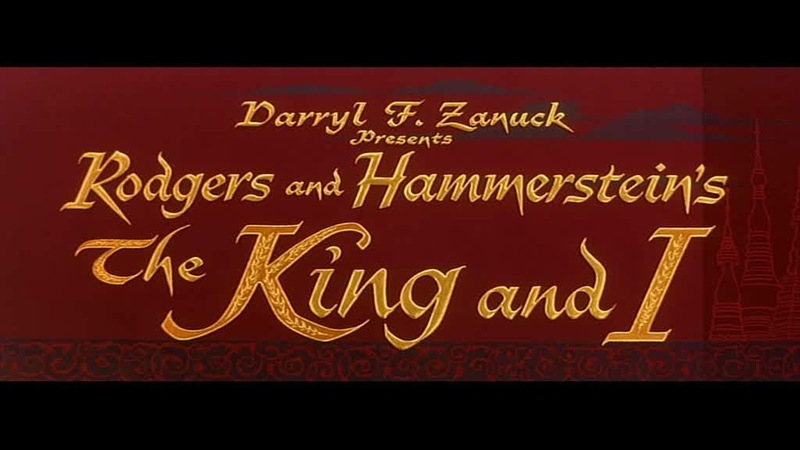 The Special Photographic Effects supervisor was Ray Kellog who headed the department at 20th century fox at the time. 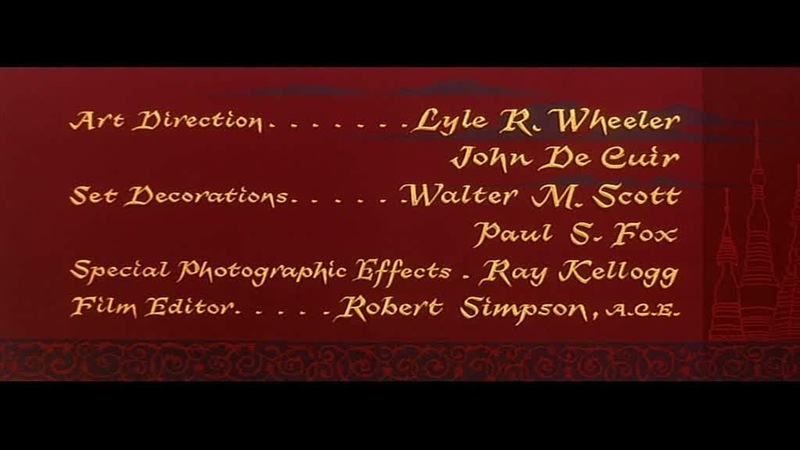 For more information on the 20th Century Fox's "scenic art department" as the special effects department was known, I direct you to this entry in NZ Pete's excellent Matt Shot blog. I was told by a Thai friend of mine that this film is banned in Thailand because they find it deeply offensive.